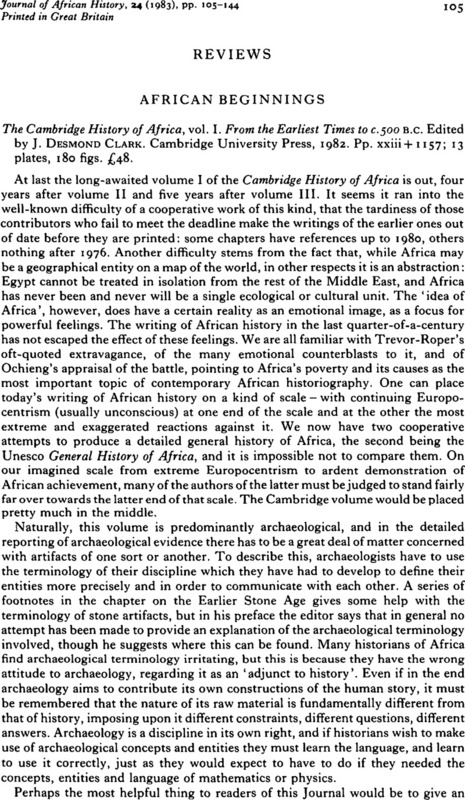 African Beginnings - The Cambridge History of Africa, vol. I. From the Earliest Times to c. 500 B.C. Edited by J. Desmond Clark. Cambridge University Press, 1982. pp. xxiii + 1157; 13 plates, 180 figs. £48.